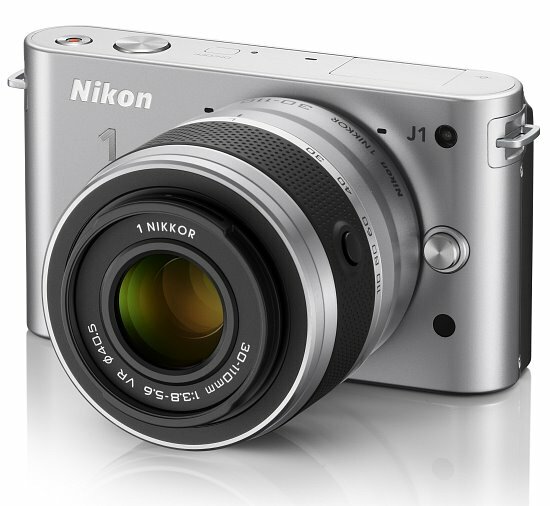 Nikon's J1 is a stylish and easy to use EVIL camera. It boasts a powerful 10-metapixel CX-format CMOS image sensor, good shooting performance, and a plethora of exposure options. Like all cameras the J1 has its downfalls (battery life for example), however it is a very competitive model in the EVIL or ILC category. Read more in our Full Conclusion. Nikon has finally joined the EVIL (Electronic Viewfinder Interchangeable Lens) world with the introduction of their first mirror-less cameras. Nikon unveiled two new "Nikon 1" models, the V1 and the J1. The J1 is a compact interchangeable lens camera that encompasses speed and ease of use with powerful specifications, which combined give you the opportunity to capture amazing photos from such a compact package. On top of a fast 10-megapixel CX-format CMOS image sensor, the J1 boasts Nikon's all new EXPEED 3 dual core processor, with allows you to capture full resolution images up to 5 frames per second. It also allows for high-speed continuous shooting at lower resolutions, at up to 60fps. Other important features include a 73-point Hybrid AF system, Full 1080p or 1080i HD video options, new Nikon 1 lens mount system, broad sensitivity range from ISO 100 - 6400 (with expansion), and a high-resolution 3.0-inch LCD screen. 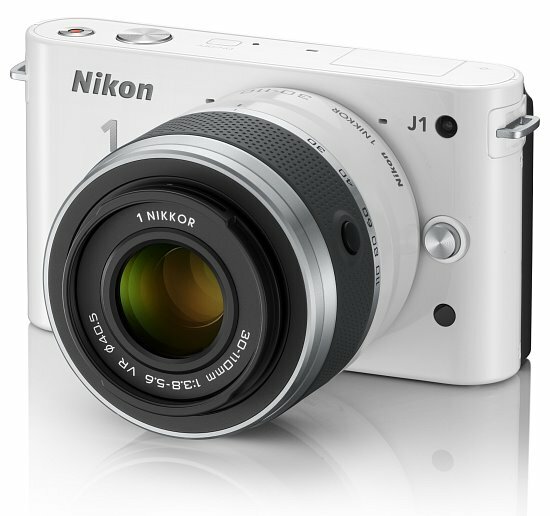 The Nikon J1 is shipping now, with five color choices to choose from; White, Black, Red, Silver, and Pink.